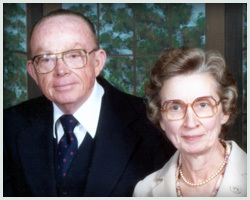 Our firm was established in December, 1949, when Claude A. McKibben and his wife, Sara McKibben, purchased Trippe-Redmond Funeral Home in Hogansville. Since that time, our family has been privileged to serve generations of families in the West Georgia area. Claude and Sara McKibben worked tirelessly through the years to serve the community, not only through the funeral home, but also through church and civic organizations. Claude McKibben was active in the firm, in the community, and in funeral-related organizations until his death in 1990. 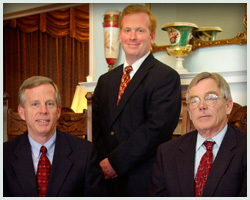 In 1968, Claude A. McKibben, Jr. joined the firm; in 1975, John C. McKibben became a part of the family business; and, in 2003, John’s son, David T. McKibben, became the first member of the third generation of the family to associate with the firm. In addition, we are fortunate to have a capable, courteous, and understanding staff that is available to serve you and is very involved in community and church activities in the area. It is the desire of Claude, John, and David, along with their staff, to continue the tradition of caring service to the area that has been the mission of the firm since its founding in 1949.